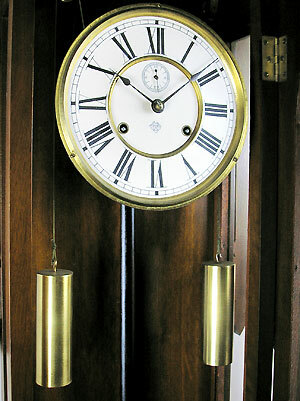 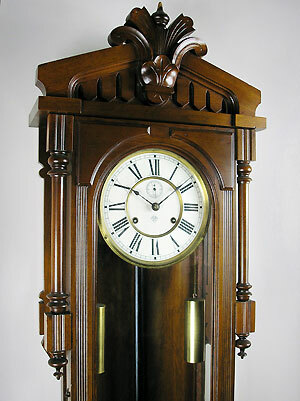 American wall regulator by Ansonia Clock Co. 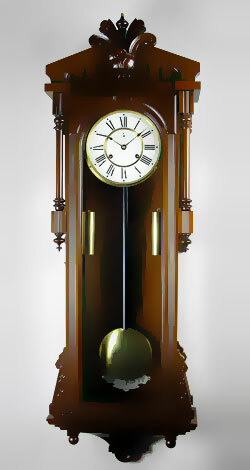 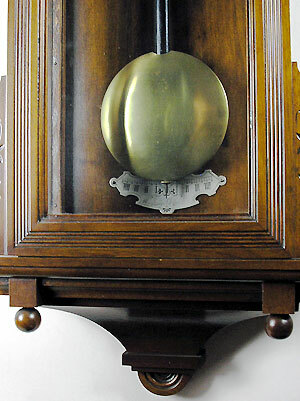 This is an American wall regulator clock by the Ansonia Clock Company of New York. 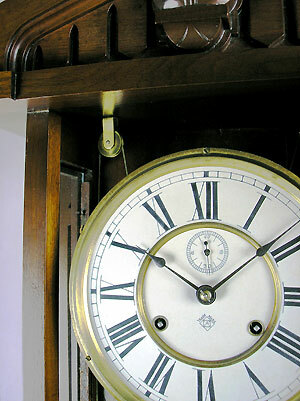 The clock has an eight-day weight driven movement maintaining power through second weight, as well as a deadbeat escapement, Roman numerals, subsidiary seconds, spade hands and a walnut case.